One of her clients said: "Leigh's a fantastic advocate for high standards of vet care/pet ownership. She's attractive, well presented, professional, has extensive varied experience, and has a bright bubbly outgoing personality. She's articulate and friendly, and would ensure correct advice is presented as well as being very 'watchable' and entertaining." Dr Leigh is an awesome Vet! She has treated my horses dogs and Cats. Leigh is highly professional and her knowledge about all animals is amazing . She is cool, calm and collected. A great personality ! Dr Leigh is very bright and engaging on camera! 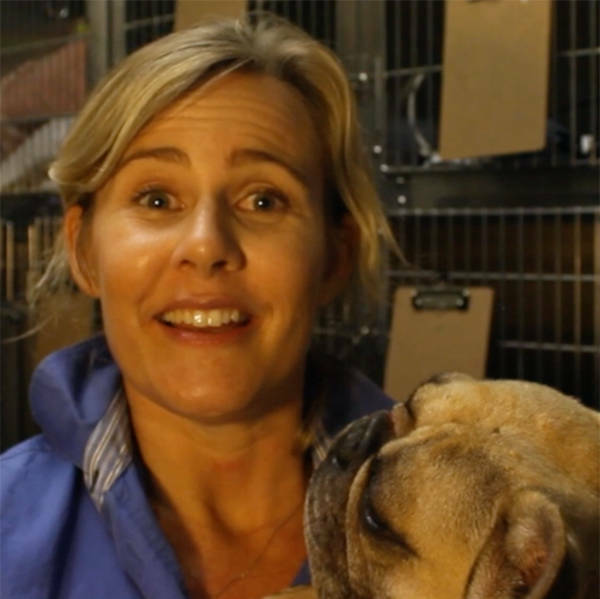 She has a wealth of experience to not only help pet owners every day, but to also educate in a fun and relevant way to expand our understanding of the animal kingdom. Such great fun and energy to work with... even in the depths of Melbourne winter early on the racetracks!.... nothing was ever too much or too hard for Leigh.... fabulous veterinary colleague! I would love to see Leigh every week.... please enable this through your programme! Dr Leigh is a pretty amazing vet really. You would think all the animals she treats are her own. She also shares incredible empathy with any owners having to go through trauma with their beloved pets. . Please consider her, I think she is the perfect fit for the program . Dr. Leigh is very knowledgeable and scientific. She is also personable, compassionate, and generous with her time. There would be no better face for Bondi Vets. Passionate about and dedicated to her job, what more could you ask! Dr. Leigh is fantastic! She loves her patients as much as their owners do. The fact she does what she does is enough to show she would be a great new bondi vet. Compassion, and a love of animals. Dr Leigh was a wealth on knowledge for introducing a new rabbit to our family.